Nickelodeon is finally making the Hey Arnold jungle movie! Update: The movie will be in two parts! Its going to come out in 2017 and not only will the original creator will work on the movie but he will bring back some of his original crew. Looks like the original helgas voice actress will be returning along with Ronda and phoebe! They just had a script table read on the jungle movie. Edited by rikakim94, 14 April 2016 - 02:52 AM. This news just keeps getting better and better. We are getting a new character designer for the new movie since nick is hiring for one. Also i just went to craig barletts instagram and he posted this! There recording the movie now! Edited by rikakim94, 21 April 2016 - 06:13 PM. It has said that without saying out loud, they may find what clicks and do a series depend on the reception. So, if this movie is a huge success and get a season, how would you feel? Im effy on reboots because normally they are not good And im not sure how hey arnold will work with todays audience. However iam okay if they do the high school spin off thats aim to adults who already grew up with the show. i have to say, i really think your sig is so cute lol. Just don't fall for modern pop culture and we will be fine. From the look of PPG, it looks like it fell for it. such a shame, that and teen titans were ruined. I think PPG got it worst. At least they acknowledge the old one is cooler for Teen Titans. Thank you! its based on the new pikachu charizard plush! 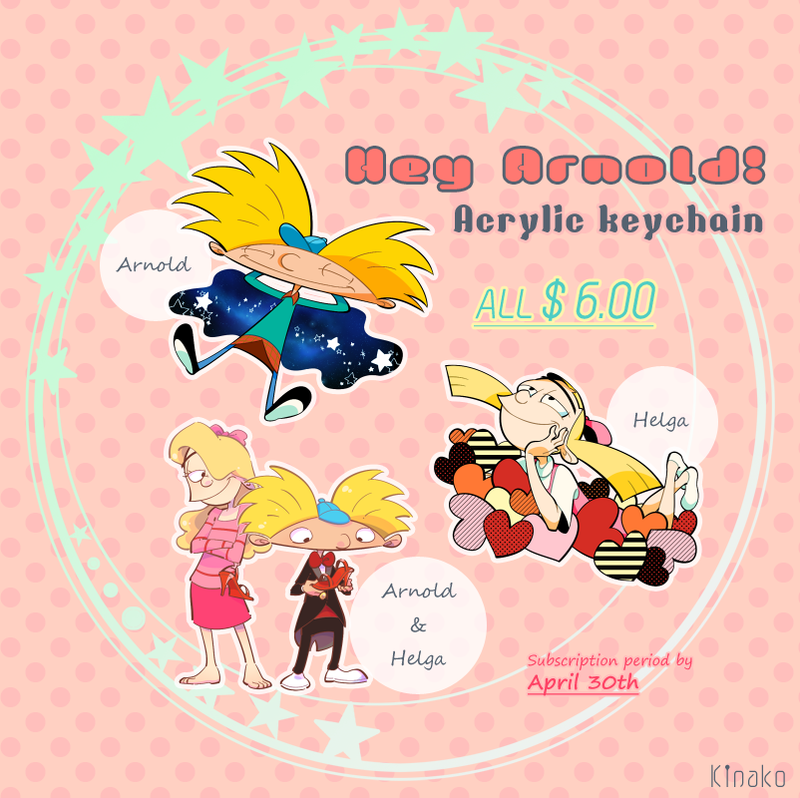 If anyone wants hey arnold keychains heres the link. It ends on april 30th but you contact the artist to make more keychains. Edited by rikakim94, 26 April 2016 - 12:27 AM. I always like that Valentine Helga design. First time realizing how girl with hair down can be damn pretty in cartoon. Edited by TouKen4Life3g, 26 April 2016 - 01:02 AM. I recommend it. About a year ago Hey Arnold was airing on a nightly basis on Teen Nick and I would try to tune in, totally worth it.